In 2011, St Andrews’ agreed at their church AGM to become an Eco Church. Eco churches are part of an ecumenical programme helping churches make the link between environmental issues and Christian Faith and putting this into practical action. St Andrew's are registered with A Rocha UK as an Eco Congregation. A Rocha is a Christian charity working to inspire and equip churches to protect and restore the natural world. Expanded recycling – glasses,batteries, teabags and cables. 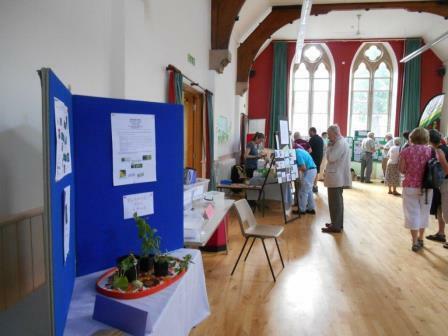 A Green Fair, bringing together a range of organisations with environmental interests. A prayer on climate change was submitted to A Rocha UK and used in a service which had an environmental theme. Repair and Regeneration every 1st Saturday. In July 2018, St Andrew’s received the exciting news that our application for an Eco Church Bronze Award from A Rocha had been successful. The certificate is displayed in the Link gallery at St Andrew’s. Thanks to everyone who has helped us achieve this. We’ll now be planning how we can move forward to gain a silver award. Whilst not as formal as at St Andrew's the other churches practise economy and recycling.